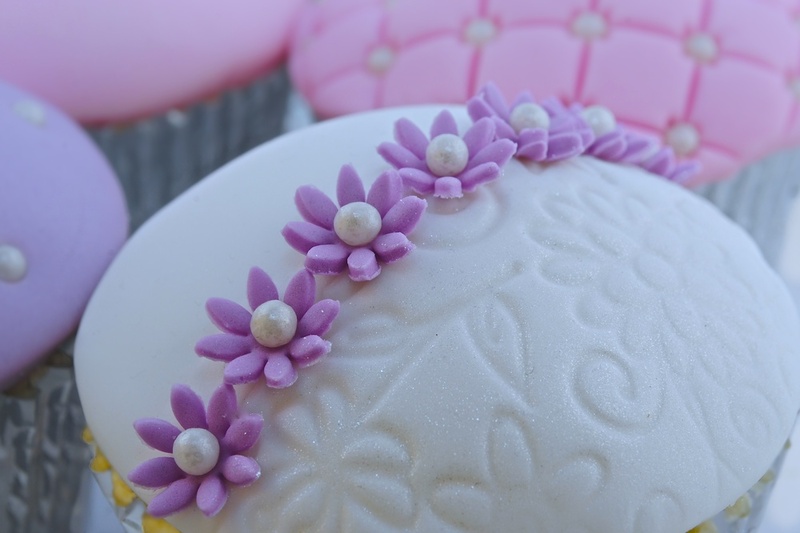 Whether you are after a fun Hen Party activity, a glamorous girly day out with your friends, a corporate team building event or an extra special birthday treat, a private cupcake decorating class is a wonderful and unique way to spend an afternoon. We are delighted to have teamed up with the stylish and cool Gascoyne Place in Bath to offer an extra special package for your special event. 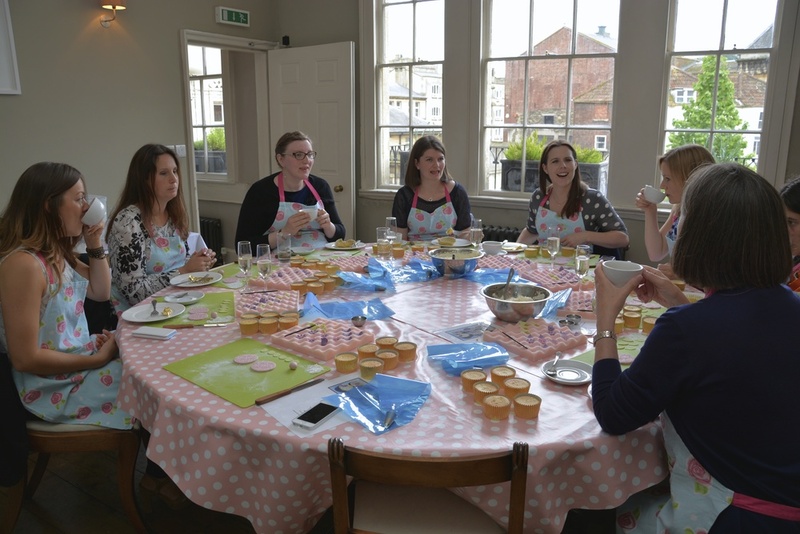 Bathed in history, Gascoyne Place is conveniently situated within Bath City Centre making it the ideal location for Hen Parties visiting this historic city. 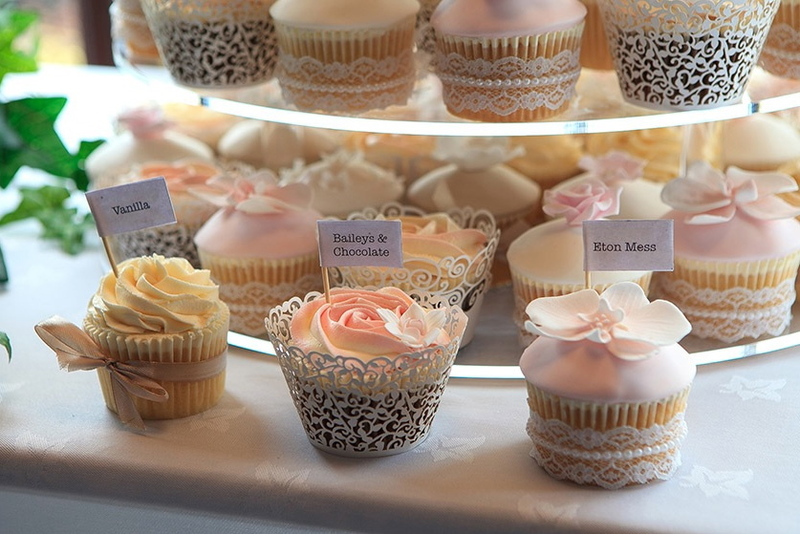 Our cupcake events at Gascoyne Place are held in the elegant Georgian first floor dining rooms that look out directly onto Sawclose square and Bath’s historic Theatre Royal. On arrival you will be welcomed into the warm private surroundings ofGascoyne Place with a glass of bubbly. When everyone has arrived your group will be seated at the large table and each given a pretty apron to wear ready to begin making your cupcake decorations. You will be guided through the class design with demonstrations given every step of the way. Mid class you will take a short break for you all to enjoy a cup of tea, coffee and complimentary cupcake courtesy of The Custom Cake Shop. 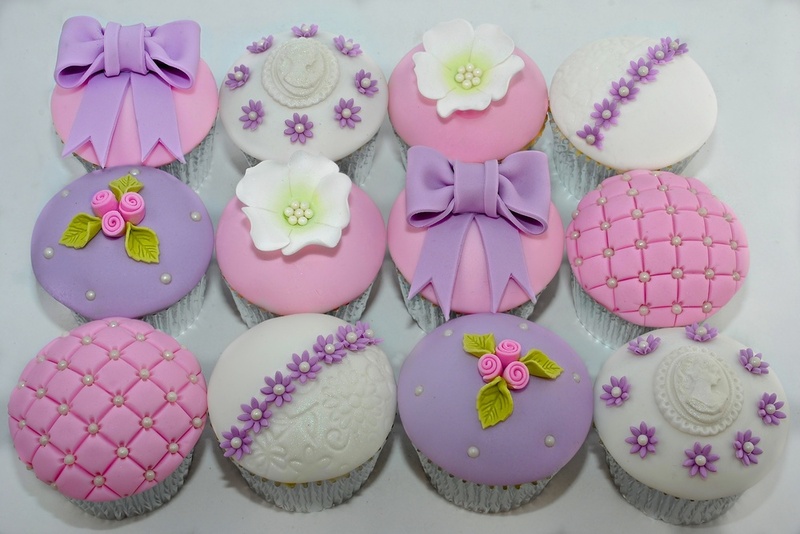 Feeling refreshed you will then take back to your seats to complete your cupcake designs, each using a piping bag to pipe beautiful butter cream swirls and adorn with your handmade decorations. 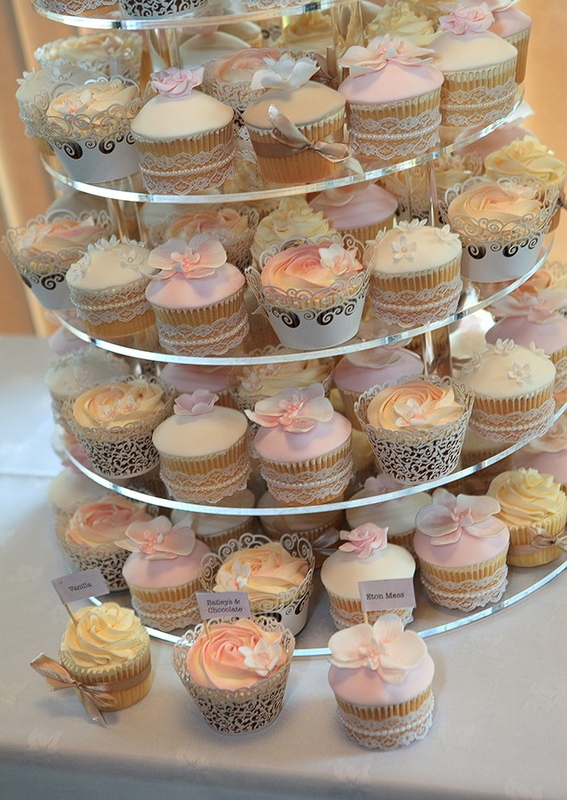 A short break mid class for complimentary light refreshments such as tea, coffee and an extra cupcake to enjoy! 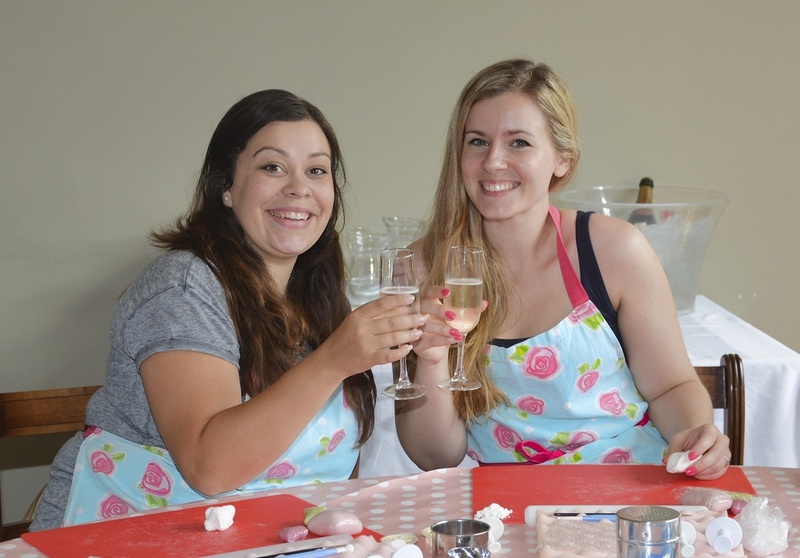 Our hen party and group bookings package at Gascoyne Place costs £35 per person with a minimum group size of 8 people. Group bookings at Gascoyne Place can take place on any day of the week or weekends, morning or afternoon. Gascoyne Place is such a cool and welcoming place to visit that many people find they don’t want to leave! Many of our groups stay for lunch in the resturant or drinks at the bar before of after the cupcake class. For more information or to make a reservation please visit their website here. Ice Cream Cone Cupcakes are a brilliant idea for a children’s birthday party or alternatively a summery addition to an afternoon tea party! These yummy treats are so quick and easy to make and they look so effective. This recipe will make approx. 12 vanilla cupcake cones. For best results it is better to bring the ingredients to room temperature before you begin. Pre-heat your oven to 150 degrees and separate the Ice Cream Cone Cups and stand them in a deep cupcake tin. If you are having trouble getting your cones to stand, crunch tin foil around the outside to help support your cone. Using a hand mixer on a medium setting, cream together the butter and caster sugar. Beat the eggs with a fork and slowly add to the mixture a little at a time. You may need to add a spoonful of flour to stop the mixture from curdling. Next fold the remaining flour into the mixture. Using a dessert spoon, take one heaped spoonful per cone and divide the mixture in to your cupcake cones. The mixture should come about half way up the cone case. Carefully place the cones in to the oven for approximately 25 -30 minutes or until golden brown and spring back to the touch! When the cakes are ready, carefully remove them from the oven. Leave the cakes stood in the tin to cool for 5 minutes and then place on a wire rack. Whilst the cupcake cones are cooling you can begin to make your butter cream topping. Using an electric hand or stand mixer, cream together your butter and icing sugar. Add 2 teaspoons of vanilla extract and add 1 tablespoon of milk at a time until you achieve a nice consistency for piping your butter cream. In warmer weather or warm kitchens less milk is needed. I divided my butter cream into 2 separate bowls and mixed in a tiny amount of pink Sugar-Flair food colouring to one half of my butter cream to turn it pink! Once your cakes have cooled, insert a large nozzle (ideally the Wilton or Jem 1M or 2D), into a piping bag and fill with butter cream. The nozzle pictured is from a large nozzle set from Lakeland. Starting at the outside edge of the cake, pipe a high swirl of butter cream by guiding the nozzle around the edge of the cone case, applying even pressure, circle around and around, on top of the previous layer below until you eventually end up at the centre. To decorate, cut an ice cream sized 99′ flake in half and gently push into the butter cream. Hold the cake above a bowl and add the sprinkles! And voila! There you have 12 delicious Ice cream cone cupcakes! If you would prefer to make a chocolate sponge then simply substitute 2 level tablespoons of flour for 2 level tablespoons of cocoa powder. A little while ago we went in search of a very light and extremely creamy butter cream recipe to develop a new Eton Mess cupcake flavour, requested by a customer as part of their wedding cupcake order. Eton Mess is typically made with fresh cream, crushed meringue and strawberries but as the cupcakes would be kept out of refrigeration for over 2 hours, using a fresh dairy product was not an option. 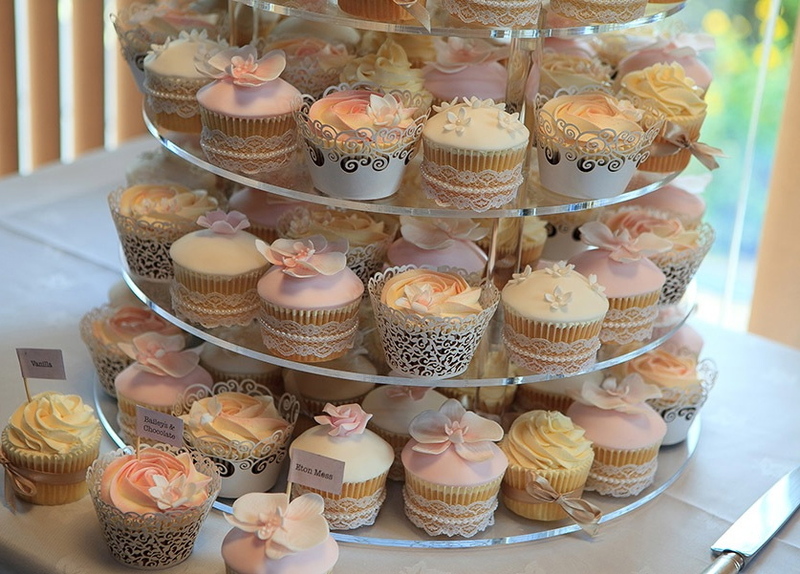 With 150 wedding guests to cater for it was very important that the buttercream recipe was 100% food safe for all guests, including any vulnerable guests such as pregnant women, the elderly and the young that may be in attendance and that is when we came across the Swiss meringue buttercream recipe. Made with sugar, butter and egg whites, SMBC was the very light, extremely creamy and most importantly safe butter cream recipe we were looking for. SMBC is very similar to, but slightly denser than Italian Meringue Butter Cream (IMBC). The advantage of SMBC is it’s slightly easier to make and the egg whites are heated to 160.c during the process, which is the temperature that salmonella bacteria are killed at, making it 100% food safe and ideal for our purpose. 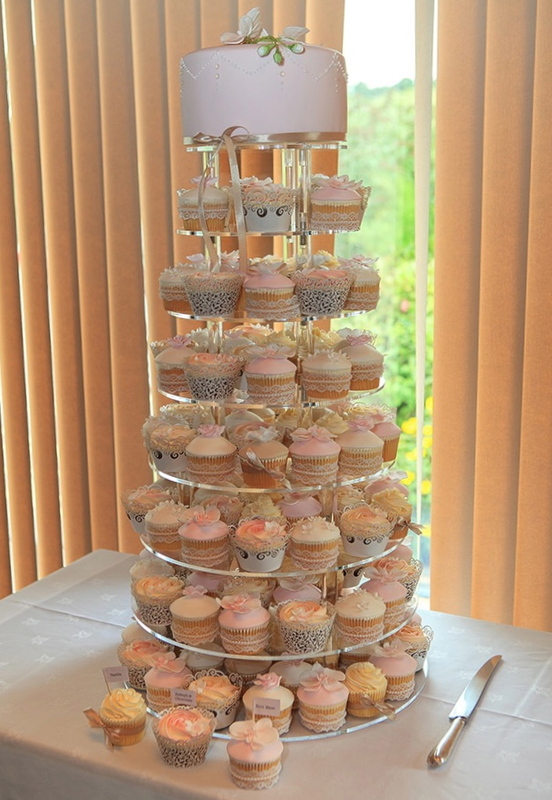 Here's some photos of the cupcakes set up at the wedding venue, followed by the recipe we used below. Place the egg whites, sugar and cream of tartar in a bowl and place over a pan of simmering water. Bring the ingredients together, whisking intermittently whilst the mixture warms. After around 5 – 7 minutes your mixture should reach 160 degrees Fahrenheit. This is the all important temperature that Salmonella bacteria are killed. Once the mixture has reached the desired temperature, carefully pour the syrup into the bowl of a stand mixer fitted with the whisk attachment and place on a high setting. After a few minutes the mixture will begin to transform into a white foam consistency and after 6 – 8 minutes the meringue mixture will form stiff white peaks. Turn the mixer down to a medium/high speed and add a small amount of the softened butter at a time until it is all fully combined. If your butter cream starts to look a little bit curdled, turn up the speed of the mixer to bring together. You should now have a light and creamy, versatile butter cream perfect for mixing in your required flavour. For a vanilla butter cream I add 2 teaspoons of vanilla extract and for a light and creamy lemon butter cream I add 2 heaped tablespoons of luxurious lemon curd.